Disney announced its Muppet Babies reboot a few months ago—weirding us slightly out in the process with its Uncanny Valley take on the classic characters—but it’s been keeping the show’s casting under wraps. Today, though, the company revealed that it’ll be following, at least in part, the same formula it showed off with its recent Ducktales reboot, pairing its older audience’s nostalgic expectations with some beloved younger Hollywood voices. 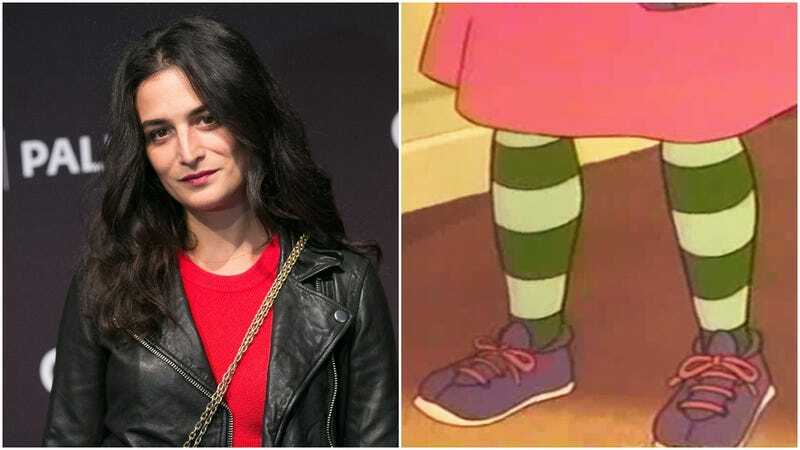 Hence, presumably, the casting of actress Jenny Slate as Nanny, the matriarch watching over the pint-sized versions of these various Henson characters. Slate’s a veteran voice actor at this point; she co-starred in Zootopia, regularly appears on Bob’s Burgers, and got her start, in part, with the beloved internet short Marcel The Shell With Shoes On. She’ll be playing the new, updated version of the always-faceless Nanny, who, owing to all these modern, new-fangled storytelling techniques, will no longer wear the same stockings every episode, but will instead change them out to reflect the story’s themes. (Blasphemy, but oh well.) Meanwhile, it’s not clear if the current crop of Muppet voice actors will play the other character on the series, or if Disney will be recruiting other big-name talent to fill those roles.